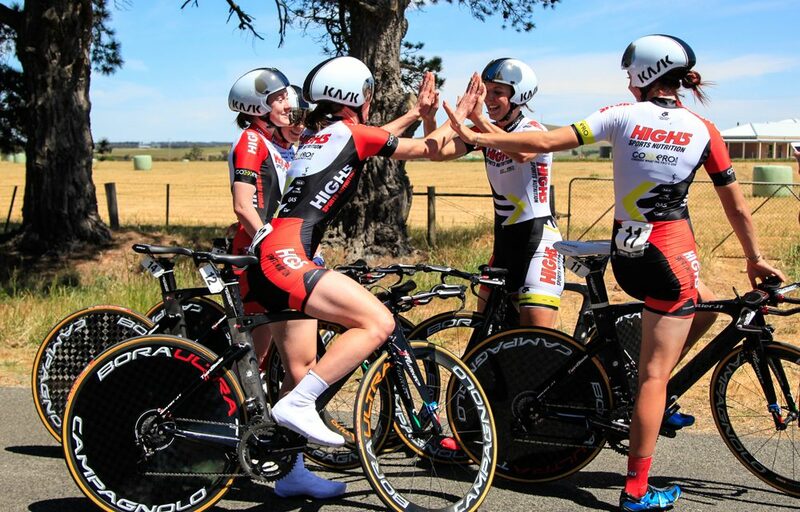 It is with great pride that the High5 Dream Team announce their eight rider strong line-up that will defend their National Road Series team’s title throughout 2016. 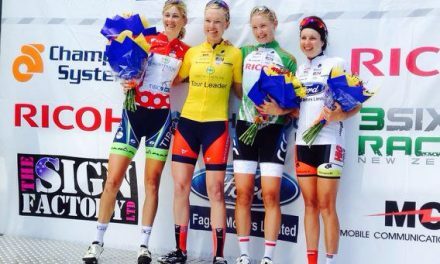 Jessica Allen – In 2011 Allen won the junior women’s time trial at the World Championships in Copenhagen, and has since won the 2014 Oceania Road Cycling Championships road race title. At only 22 years of age, she brings a wealth of experience to the squad. Lucy Kennedy – Lucy had an outstanding season after recently converting from triathlon. She climbed with the best of the National Road Series, and capped her season off with a stage win and second place overall at the 2015 Tour of Bright. Ainslie Bakker – 2015 was a breakout season for Bakker, where she announced herself with a fine second place behind Ruth Corset at the National Capital Tour. She then went on to out-duel Corset on the slopes of Mt Warrenheip to win the final stage of the 2015 Tour of the Goldfields. 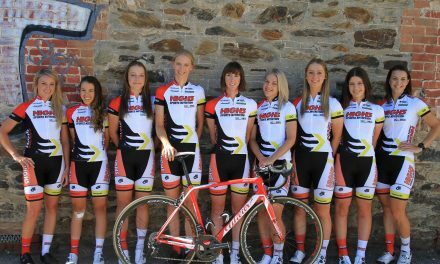 Team Director Donna Rae-Szalinski is thrilled at the quality of her squad for 2016. “I am very happy with the new signings for the 2016 High5 Dream Team. Jessica Allen brings valued experience and her aggressive race style will fit in well with the team. Lucy Kennedy and Ainslie Bakker are exciting prospects with great potential as shown by their introduction to the NRS in 2015. The three new riders will compliment the team line up and mix well with the strength and experience of the returning five riders. 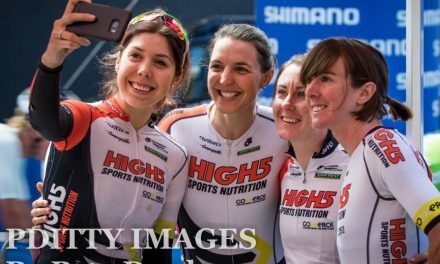 I am confident that the High5 Dream Team will race competitively in the 2016 NRS and continue in our quest to prepare riders capable of international level competition” she said. In her second season with the team, Georgia Baker is looking forward to riding in a powerful line up that will challenge for stage and tour victories throughout the year. “After such a successful 2015 I can’t wait to see what we can achieve as a team in 2016!” said Baker. 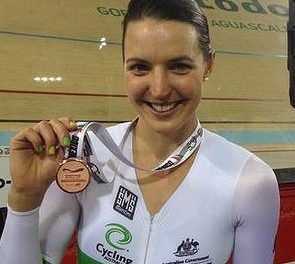 Also returning for 2016 is current Individual Pursuit World Champion Rebecca Wiasak, who will feature in the National Road Series again in 2016 with an eye on Rio Olympic Games selection on the track. “I’m excited to have the opportunity to join the High5 Dream Team for a second year. We have some great new additions to the team and we’ll be looking to build on our successful season” added Wiasak. The team’s first event in 2016 will be the Bay Cycling Classic starting on the 1st of January followed by the National Championships, the UCI women’s Tour Down Under event (known as the Santos Women’s Tour) and then the Cadel Evans Road Race to complete a very busy January race schedule. The team will be well supported as always, thanks to the generosity of sponsors High5, GoExPro, Wilier, Campagnolo, Kask, Champion System, Oakley, John West, Amy Gillett Foundation, Vittoria, Muc-Off, and the state sports institutes. In addition to the team’s impressive eight rider line-up, they will be joined by guest riders Kimberley Wells (Australian National Criterium Champion) and Lauren Perry (Individual Pursuit Junior World Champion) at select races throughout 2016.